Martyrs day in India is celebrated to pay homage to the victims who fought for the freedom, welfare and progress of the India and sacrificed their lives. 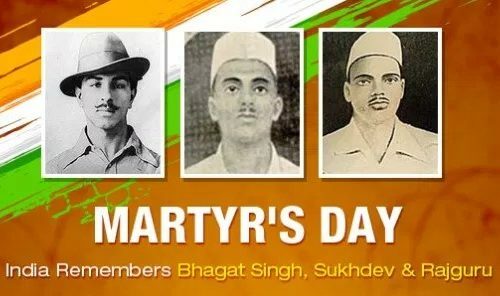 On 23 March, India marks Martyrs’ Day in the memories of three freedom fighters Bhagat Singh, Rajguru and Sukhdev, who were hanged to death on this day in Lahore Central Jail in 1931. The day is also known as Shaheed Diwas. Every year on 23 March, the World Meteorological Organization commemorates the coming into force of the Convention establishing the World Meteorological Organization on 23 March 1950. The World Meteorological Day theme 2019: The Sun, the Earth and the Weather. Xiaomi launched Mi Pay, its very own Unified Payments Interface (UPI) based payments service in India. The app is already available in China and was first introduced in India last December in beta mode. The Chinese electronics company partnered with National Payments Corporation of India (NPCI) who approved it and ICICI Bank to launch the app in India. SpiceJet has joined global airlines’ grouping IATA as a member, becoming the first Indian low-cost carrier to get the membership. The International Air Transport Association (IATA) represents more than 290 airlines, including Air India, Jet Airways and Vistara. India defeated Asian Games champion Japan 2-0 to start its campaign at the Sultan Azlan Shah Cup hockey tournament. Sri Lankan limited overs captain Lasith Malinga will retire from international cricket after next year’s Twenty20 World Cup. 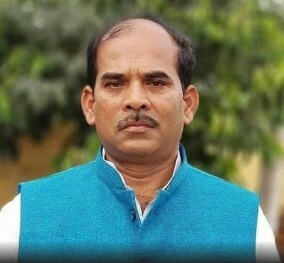 Karnataka Minister for Municipal Administration C.S. Shivalli suffered a massive heart attack and passed away in Hubballi. He was 58. Channabasappa Satyappa Shivalli was a three-time MLA from Kundagol constituency in Dharwad district. He won his first election as an independent candidate in 1999.